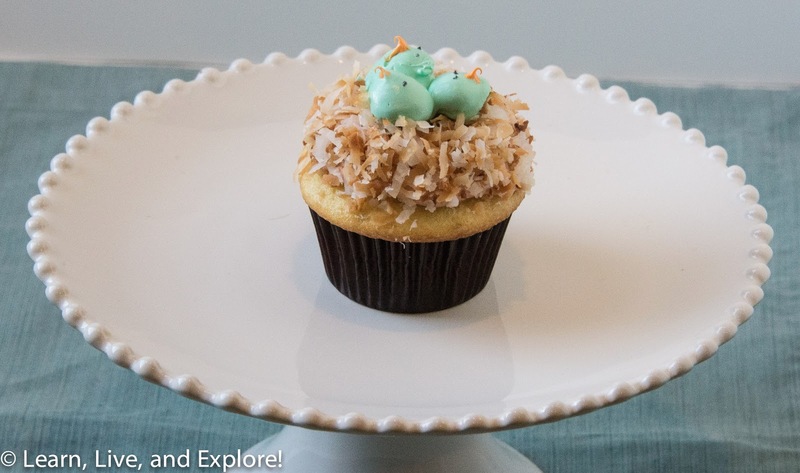 June Cupcake of the Month - Birds Nest ~ Learn, Live, and Explore! For June's cupcake, I wanted to something simple yet sweet. 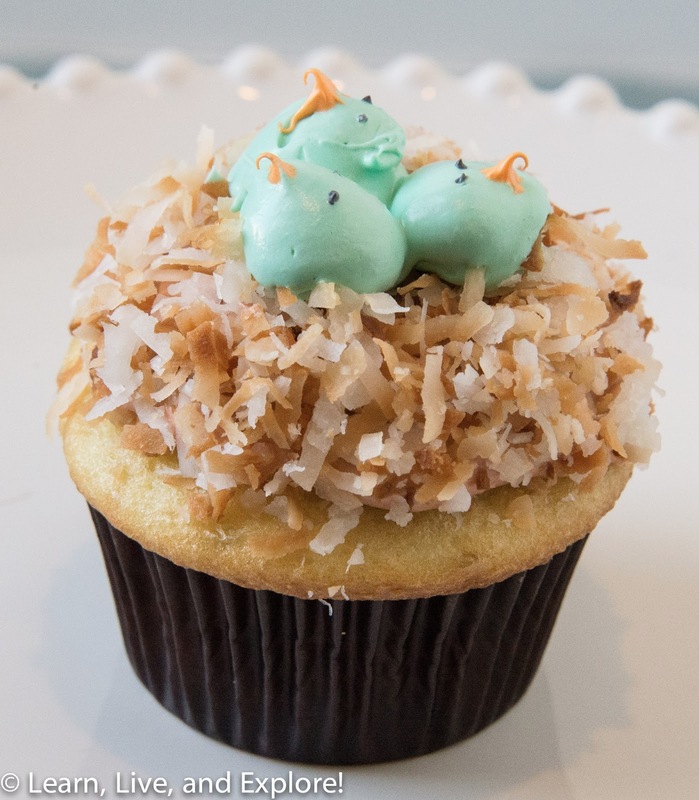 I saw a cupcake design on Martha Stewart for Easter that I liked, so I tried to replicate the design. 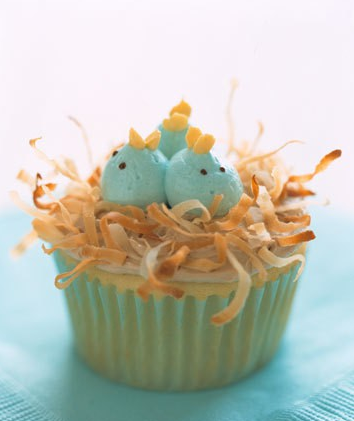 I think my buttercream for the birds needed to be a little thicker because they weren't holding a spherical shape. They still looked cute, and tasted delicious. I was lazy this month and just used boxed French Vanilla cake mix and pre-made buttercream dyed using Americolor Food Gels.